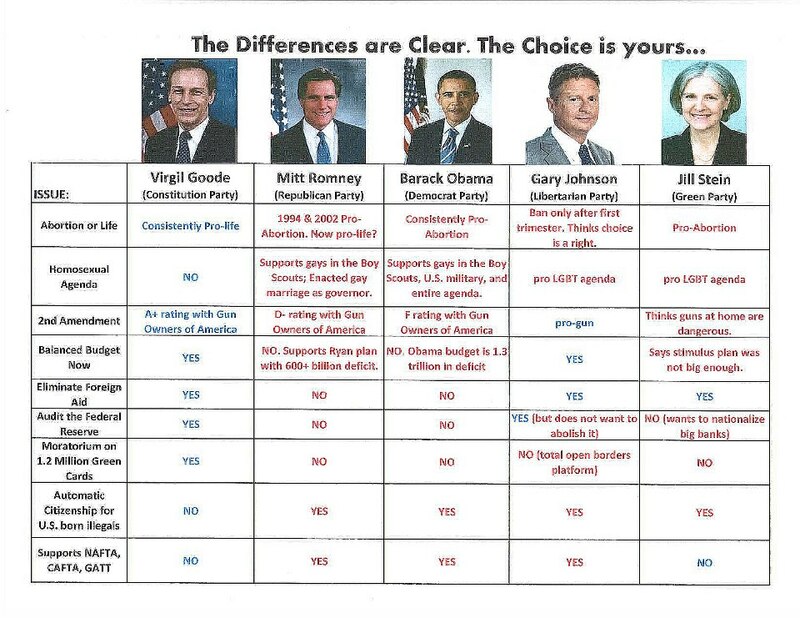 I’ve been told that we need to support Romney as candidate for president because he is more pro-life than Obama. What if there is another candidate who is truly pro-life? Why wouldn’t he be the better choice? If we are to be principled voters, shouldn’t we stand on those principles instead of putting them aside for Â a candidate who probably won’t do much to advance the pro-life movement and pro-life laws around our country? This came up on my Facebook wall this morning. It has been passed around and around and around, so I have no idea who to give credit to. 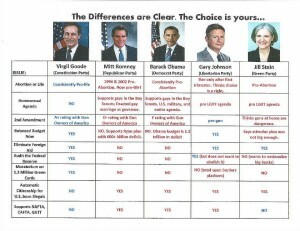 However, all information is vetted, but don’t take my word for it, look up these candidates yourself.